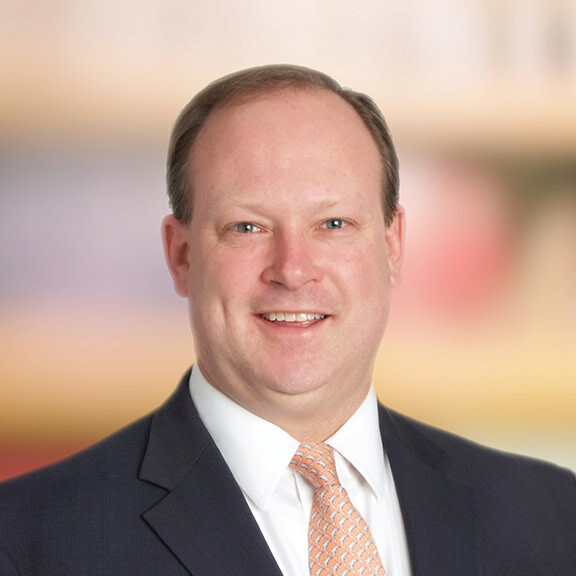 Christopher B. Wick specializes in corporate restructuring and bankruptcy. Chris focuses his practice on corporate reorganizations, workouts, debtors’ and creditors’ rights and corporate transactions across the United States. He has represented parties in the restructuring, reorganization or sale of complex business in various industries, including energy, automotive, agriculture, telecommunications, logistics, manufacturing, real estate and steel. He also has a broad range of transactional experience and has advised clients in connection with a variety of DIP financing facilities, recapitalization transactions and asset dispositions and acquisitions. Chris has substantial experience representing and advising companies, buyers and investors in all aspects of distressed and insolvency situations. He counsels boards of directors, chief executive offices and other members of senior management with respect to their duties and obligations to and exposures in connection with financially challenged companies. In re Limitless Mobile, LLC, Case No. 16-12685, United States Bankruptcy Court of Delaware – Represent cell phone tower provider in Chapter 11 Bankruptcy of a rural wireless provider in Harrisburg, PA, including position on the official Committee of Unsecured Creditors and the Post Confirmation Liquidating Trust. In re D&L Energy Inc., Case No. 13-40813, United States Bankruptcy Court for the Northern District of Ohio – Represents an oil and gas exploration and production company participating in certain joint ventures with the debtor entity, which has undertaken an effort to sell its assets. In re Casa Media Partners, LLC; case 15-16741; U.S. Bankruptcy Court of Southern District of Florida. Arch Coal, Inc. case No. 16-40120, U.S., Bankruptcy Court for the Eastern District of Missouri, Eastern Division. Ariana Energy, LLC, case No. 14-51199-6RS, U.S. Bankruptcy Eastern District of Kentucky, Lexington. In re Stelera Wireless LLC, Case No. 13-13267, United States Bankruptcy Court for the Western District of Oklahoma – Represents a cell phone tower provider in the liquidation of a rural wireless communications network. In re Evans Oil Company, et. al., Case No. 9:11 – bk – 01515, United States Bankruptcy Court for the Middle District of Florida – Represented Debtors in the restructuring of $35 million of secured debt and sale of the business entities. In re Maritime Communications/Land Mobile, LLC Case No: 11-13463; United States Bankruptcy Court for the Northern District of Mississippi – Represents a cell phone tower provider in the sale of a wireless communications network. In re Arts Dairy LLC, Case No. 09-32386, United States Bankruptcy Court for the Northern District of Ohio - Representing the secured lender to dairy farm operations of several-million-dollar credit. AgStar Financial Services, FLCA. Plaintiffs in several Federal Court foreclosures and receiverships in the Federal District Court for the Northern District of Ohio and Northern District of Indiana. In re Metalworks et. al., Case No. CV-09-687448, Cuyahoga County Ohio Court of Common Pleas - Represented a Tier 2 automotive supplier company in its restructuring and ultimate payout of its secured lender’s $35 million debt. In March 2009, filed state court dissolution proceeding to effectuate the sale of remaining assets, resulting in a substantial recovery for unsecured creditors. In re Zohar Waterworks, LLC, Case No. 09-11179, United States Bankruptcy Court for the District of Delaware - Represented a privately held leasing firm in Delaware Chapter 11 case in which the debtor had leased assets from a $20 million sale leaseback transaction. In re Kiebler Recreation LLC, Case No. 10-15099, United States Bankruptcy Court for the Northern District of Ohio - Represented the unsecured creditors' committee in a New York located ski resort. Advantage Renovations, Inc. v. Maui Sands Resort Co., LLC, Case No. 08-CV0894 in the Erie County, Ohio Court of Common Pleas – Represent receiver of a failed water park/hotel resort. Other Chapter 11 bankruptcy representations include Nippon Electric Glass America, Inc. (Debtor); Horizon PCS Inc. (trade creditor, unsecured creditors’ committee); Weirton Steel Corporation (trade creditor, unsecured creditors’ committee member); Republic Engineered Products (secured lenders); Quaker City Castings (unsecured creditors’ committee); Ohio Cast Products (unsecured creditors’ committee); and National Century Financial Enterprises Inc. (litigant/creditor). Recent Chapter 11 bankruptcy representations also include Nippon Electric Glass America, Inc. (Debtor); Horizon PCS, Inc. (trade creditor, unsecured creditors’ committee); Weirton Steel Corporation (trade creditor, unsecured creditors’ committee member); Republic Engineered Products (secured lenders); Quaker City Castings (unsecured creditors’ committee); Ohio Cast Products (unsecured creditors’ committee); and National Century Financial Enterprises, Inc. (Litigant/Creditor). Chris Wick is listed as a member of Bridge Builders 7th class in, "Bridge Builders Announces 7th Class." Hahn Loeser Attorneys Named Ohio Super Lawyer Rising Stars.